What is a typical day like on your safari in Africa? 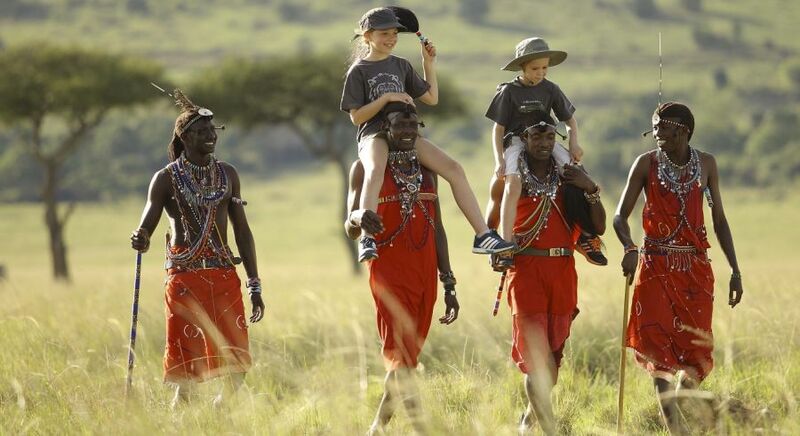 Our Africa expert Danielle Cicci shares her experiences and insights on African tours. It’s your first night in the Savannah and you hear the sound of growls a few feet away from your bed. Burly, bulky shadows stretch across the canvas of your tented camp, trudging on. Comforted by the camp’s trained staff who are on nighttime watch, this closeness with nature gives you a jittery sense of elation. But soon, the sounds of the wild become your soothing sleep melody. Your African safari always gets off to a good start. As you slowly wake from slumber, there will be the tiptoed approach by one of the staff placing a tray on your private veranda, loaded with fresh, piping coffee to help you start your day. 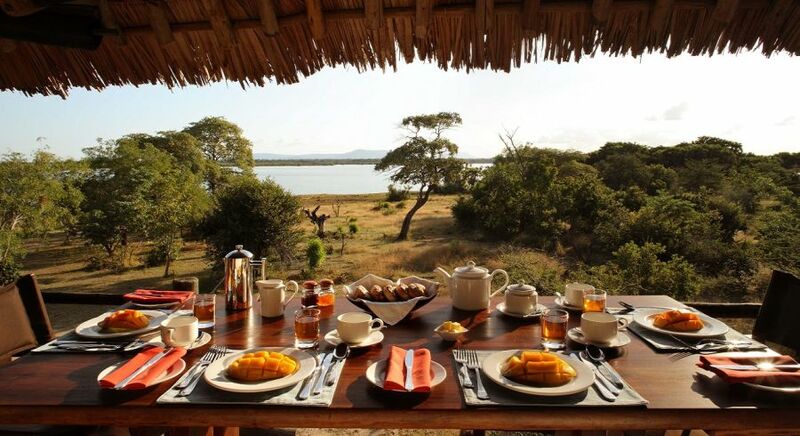 While you are still in your dressing gown, sit back and slurp up the great expanse of Savannah right in front of you. A typical breakfast out in the open. I’ve had many a time when I’ve opened my tent flap to discover a group of wildebeest – on their great migratory journey – scattered just a few steps around my canvas, happily grazing. 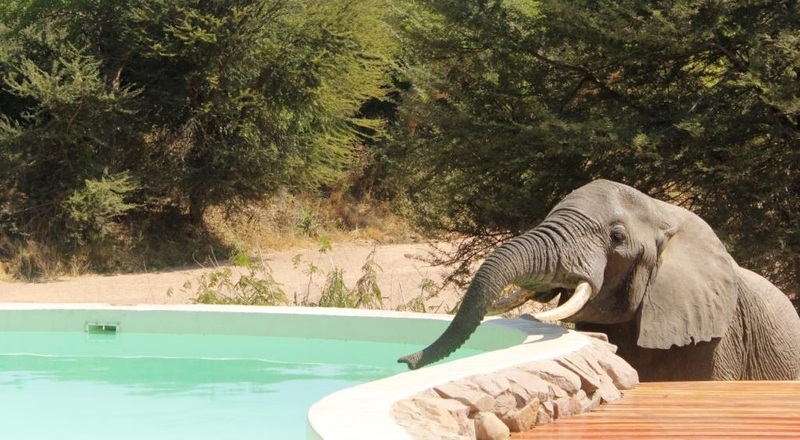 You may choose to go out on an early morning safari with your naturalist, or stay and enjoy the wildlife right at camp. Across our Africa collection, we’ve carefully selected the most incredible camps that are in the heart of the action, to ensure that your safari holidays are unique and exclusive. Often times, guests may drop in at the pool. If you do go on safari, the magic is that you will never know what wildlife you will come across. You may find yourself laughing as your jeep is forced to stop due to a spontaneous and literal zebra crossing, or you might spot the elusive leopard in the treetops. If you’re lucky, you will find the king of the beasts, the great lion, sauntering around for prey. 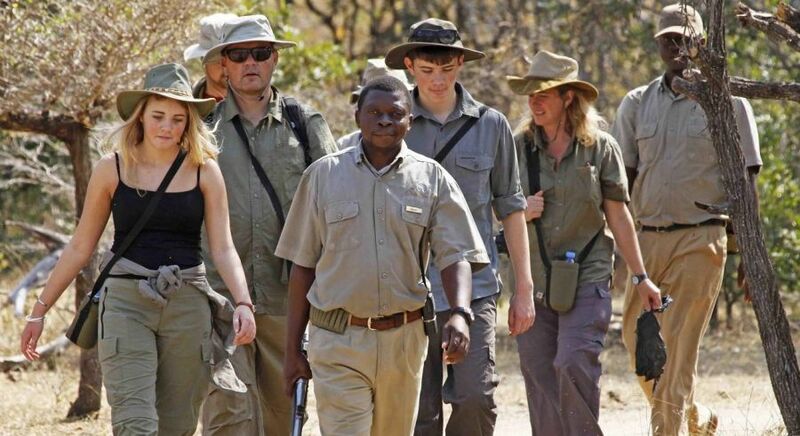 Walking safari in Africa – Into the wild with an armed naturalist for thrillingly close encounters! Boat safari in Botswana – Stare into the beady eyes of a spine-chillingly still crocodile! Hot air balloon safari in the African Savannah – A bird’s eye view – the best way to see all of the expansive landscape in its glory! One of my favorite parts of being on safari in Africa is actually the food! I’m always amazed how – in the middle of the wilderness – the most delicious dishes are whipped up – from local fare to continental classics, and you have your own butler on hand to support your every whim. Every single meal is a delight and true foodies will find themselves at home. 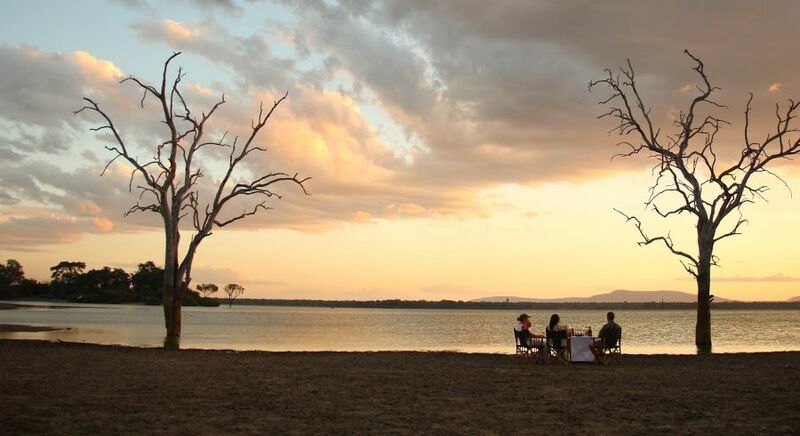 It’s the frequent private dining setups – whether in the Savannah, by a breathtaking lake or a watering hole brimming with wildlife – that become your treasured moments – and you will feel absolutely spoilt! The food tastes that much better probably because of the location. The sundowners at the end of the day are magical. I’ve traveled the world and I can honestly say that nothing beats an African sunset, with the ever-changing fusion of blood-oranges, ruby reds and magenta richness. 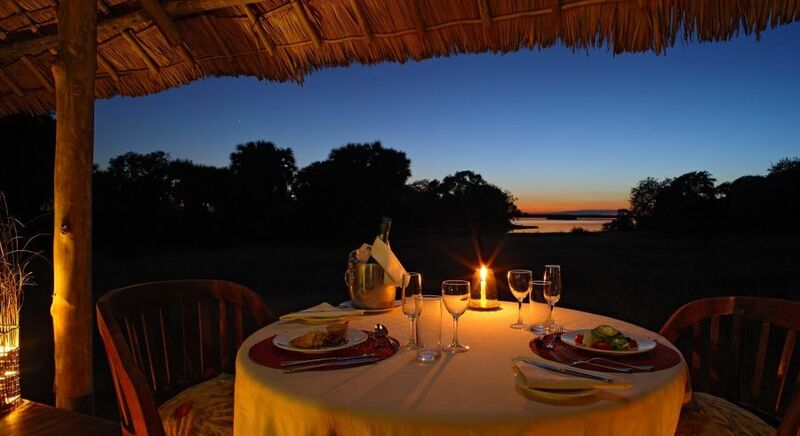 End your evening game drive with a secluded sundowner. After a hearty meal and perhaps a chitchat with other guests around a warming bonfire as the temperature drops, you can settle into your luxury tent. This is the finest camping experience, where your every need is taken care of. In some camps, your tent comes with an enamel bathtub or private plunge pool, where you can lie and soak in the most incredible views in privacy! 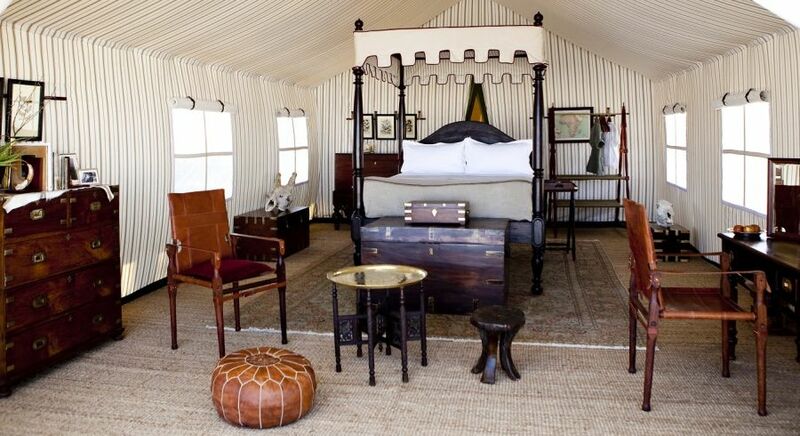 See our list of award winners for the Best Luxury Safari Camps in Botswana. Experience real luxury in the African wilderness. Experience the grace of African people, whether it is visiting the indigenous people in their villages or spending time with truly joyful children at a local school, which are often supported by the camps we partner with. In some camps, even the youngest guests are welcomed on safari, with special activities organized especially to keep them entertained. This is the ultimate classroom playground! There’s something for everyone – even the youngest holidaymakers. Experience your own day on safari and plan your African adventure today.